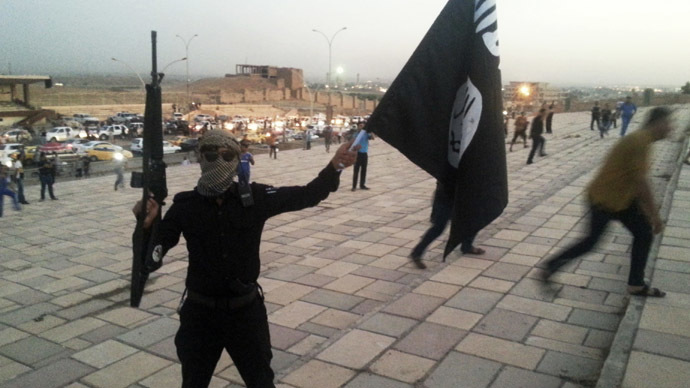 Without paying a ransom, Turkey secured the release of dozens of Turkish consulate workers who were kidnapped in the northern city of Mosul after rebels from the Islamic State (IS) advanced on the city in June. Turkish Prime Minister Ahmet Davutoglu cut short a meeting in Azerbaijan to meet the freed hostages, 46 Turks and three Iraqis, who were released early on Saturday and were "all in good health." "I am sharing joyful news which as a nation we have been waiting for,'' Davutoglu said. 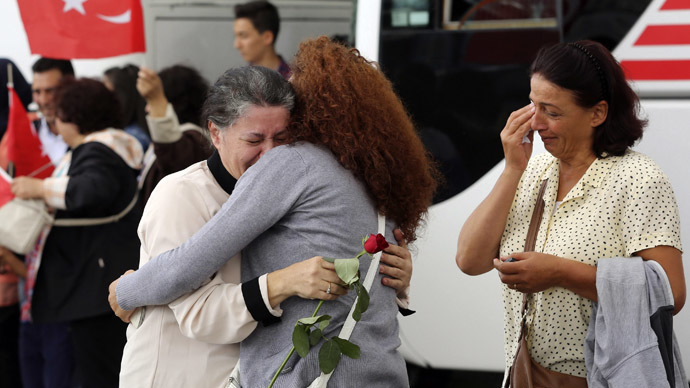 Family members anxiously waited at the steps of a plane that delivered the released hostages to the Turkish capital Ankara from the southern city of Sanliurfa, where they had earlier been welcomed by the prime minister, Reuters reported. Davutoglu told the assembled crowd that the authorities had worked tirelessly to secure the release of the hostages. The prime minister did not provide details on the circumstances of their release, but broadcaster NTV reported that a ransom had not been paid for the hostage's release. It did not say how it obtained the information. President Recep Tayyip Erdogan thanked his government and staff for carrying out a "successful operation." "I thank the prime minister and his colleagues for the pre-planned, carefully calculated and secretly-conducted operation throughout the night," Erdogan said in a statement. "MIT (the Turkish intelligence agency) has followed the situation very sensitively and patiently since the beginning and, as a result, conducted a successful rescue operation." Deputy Prime Minister Bulent Arinc said the hostages were staff members of the Mosul consulate, which included Consul General Ozturk Yilmaz, diplomats, children and members of the security detail. 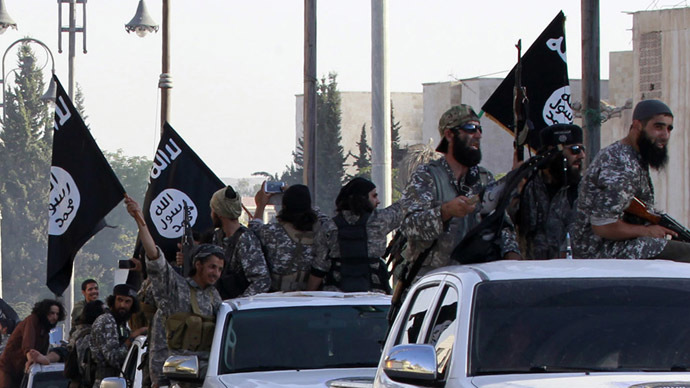 The release of the hostages comes as more than 30 nations have committed to a US-led coalition to fight IS militants. Istanbul, however, has refused direct military involvement, saying it will only permit humanitarian and logistical operations from a NATO air base on its territory. 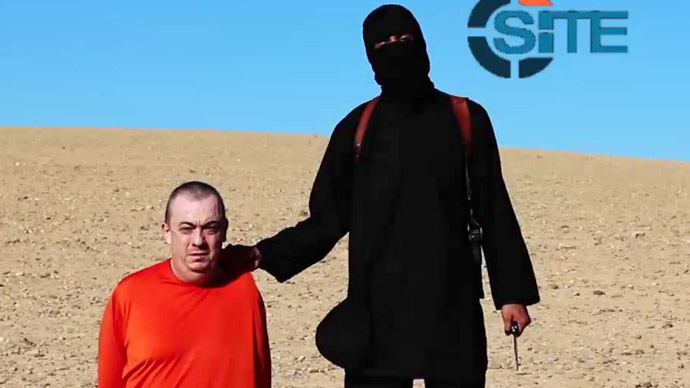 Over the course of the last month, members of IS had beheaded two American journalists and a British contractor who were working in Syria in what the extremist groups has claimed is retaliation for aerial attacks the US military has launched against them in Iraq.